Apple may need to re-think its classic approach to iPhone upgrades if the company wants to keep up in the battle of smartphone cameras. The consensus is that the Google Pixel 3 has the best smartphone camera right now. Of course, Apple will continue to work on making the iPhone camera better—regardless of the presence of strong competition in the market. It’s been a while since Apple released an iPhone and declared that the camera wasn’t any better than last year’s model. Apple is always pushing the iPhone cameras forward. 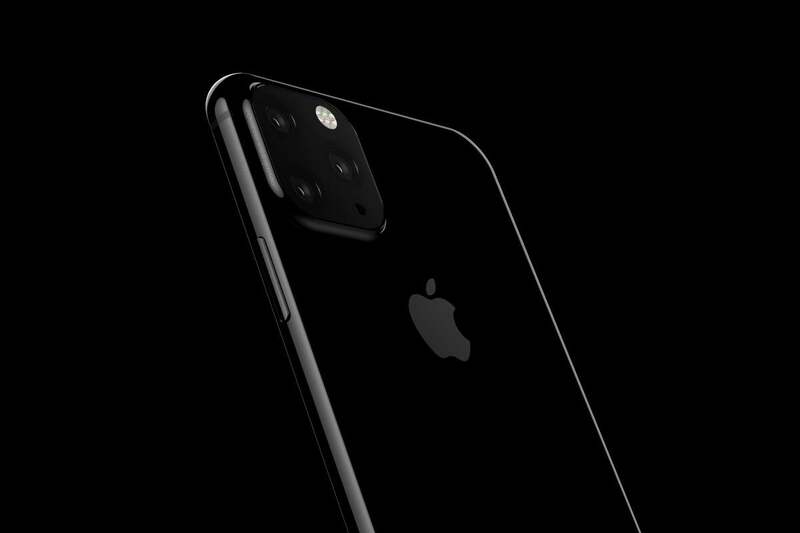 A render of what a three-lens camera on the 2019 iPhone could look like. There’s already a rumor out there that the 2019 revision to the iPhone will include a three-camera successor of the iPhone XS Max. 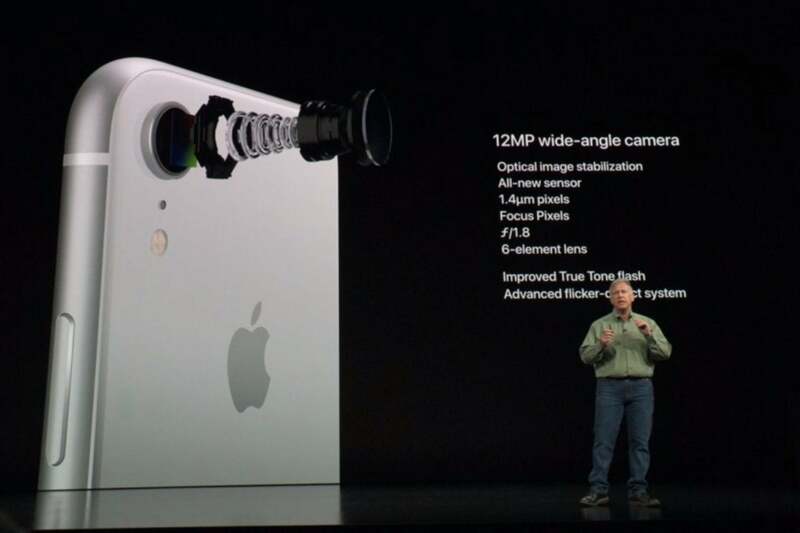 It’s unclear just why an iPhone would need three cameras, though it’s possible that the additional lens will offer more levels of zoom. I’m sure Apple will build some clever software that will allow it to capture images even better with three cameras than it does with two. It does feel like maybe Google’s on to something with the wide-angle selfie camera. The notch on the front of the iPhone X series devices is already pretty large, but I wonder if Apple might consider making room for a second lens in order to let users upgrade their selfie game just that much more. 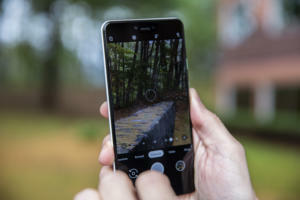 The real arms race in smartphone photography, though, seems to be on the software side. 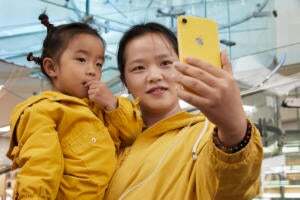 Apple has been driving the iPhone camera with smart software for a long time, most recently with Smart HDR, a feature that has no user interface but dramatically improves the dynamic range of images. But in the last couple of years Google has been aggressive in adding new features of its own. A night kitchen image as taken by the iPhone XS (left) and the original Google Pixel with Night Sight. Take Night Sight. 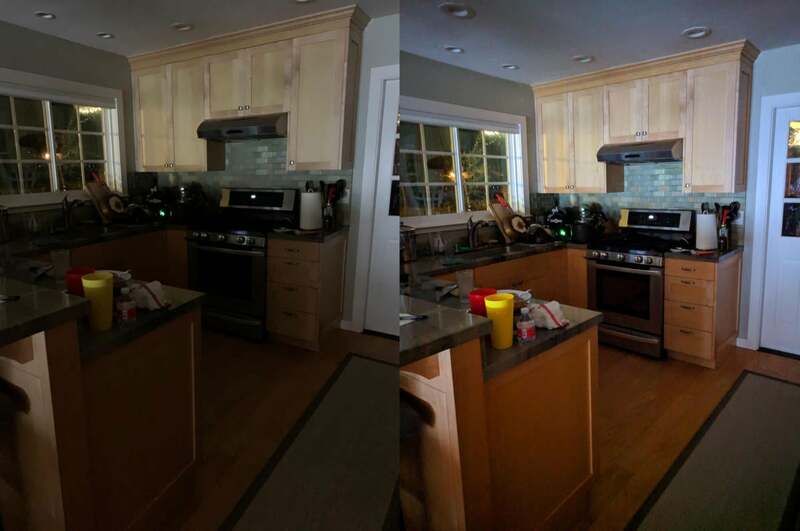 It’s an approach that Google uses to get shockingly clear photos out of relatively dark spaces. The camera takes longer exposures and multiple exposures and uses a bunch of machine-learning-based techniques to clean up the image—but the results are spectacular. I assume Apple’s camera hardware could do something similar… but it just doesn’t. Taking pictures in dark environments isn’t a weird edge case, and Apple should be more aggressive in offering a feature like Night Sight. In general, I wonder sometimes if there’s a little too much dogma inside the group that’s in charge of iPhone photography. It’s a tough line to walk between creating images that are crowd pleasing and those that are accurate depictions of what was captured. Apple’s legacy of users who are in creative and artistic fields means that it’s probably right to be a little conservative when it comes to these sorts of decisions, but the iPhone is a mass-market product and if people feel that iPhone photos lack the “punch” of Google Pixel photos, that’s bad for Apple—no matter how accurate Apple’s captures are. I hope Google’s aggressive moves with the Pixel will energize the iPhone photography team to engage with their competitor and try to top them. Are we stuck with the same iPhone photography features until new phones reach us this fall? The truth is, it doesn’t have to be this way, but it’ll require Apple to change the way it’s approached product upgrades for some time. Through the years, Apple has introduced some features to new hardware that could plausibly have run on older models, but were withheld in order to differentiate the new model from the old. (Forgive my skepticism, but I don’t believe that the iPhone 6 was incapable of shooting Live Photos.) In contrast, Google’s Night Sight isn’t a feature of the Pixel 3—it’s a software update that also works with the Pixel 2 and even the original Pixel. What I’d like to see is Apple use software updates to take a page from Google’s playbook and add smart features to existing iPhones, not just whatever models it introduces in 2019. The question is, will Apple look at this as an opportunity to improve the value of iPhones over the long haul, or will its shortfall in iPhone revenue make it even more likely that new features will be withheld from older models just to drive sales of new iPhones? The line’s not as sharp as you might think. Early on in the development process, Apple needs to decide whether a new feature will specifically require new iPhone hardware. I’m sure if you talked to someone from Apple, they’d tell you that Apple never artificially withholds features from older phones in order to sell new hardware—that all the features that only work on new phones are ones that take advantage of the newest hardware. That might be true, but many new camera features could be designed from the beginning to be backward compatible to the past couple years’ worth of iPhones, when possible. I’m not sure Apple thinks in those terms, which is unfortunate—especially since it’s clear that Google’s not afraid to do it. In any event, I hope Apple makes the right decision for its customers and not only pushes forward in improving the features of the iPhone camera, but considers bringing many of those features to users of relatively modern iPhones. In the meantime, I find myself occasionally bringing my old original Google Pixel with me when I’m going somewhere where Night Sight might be useful—because in that circumstance, Google’s phone from 2016 will do a better job at taking pictures than my iPhone XS from 2018.